Argosy operated 5 weekly round trips between Ft. Lauderdale and Great Harbour Cay in the Bahamas during 1978-79. The airline is somewhat legendary for an unresolved accident that occurred during a charter flight from Ft. Lauderdale to Cuba on September 21, 1978. DC-3 N407D mysteriously disappeared from radar and vanished in the so-called "Bermuda Triangle". The aircraft was never found. 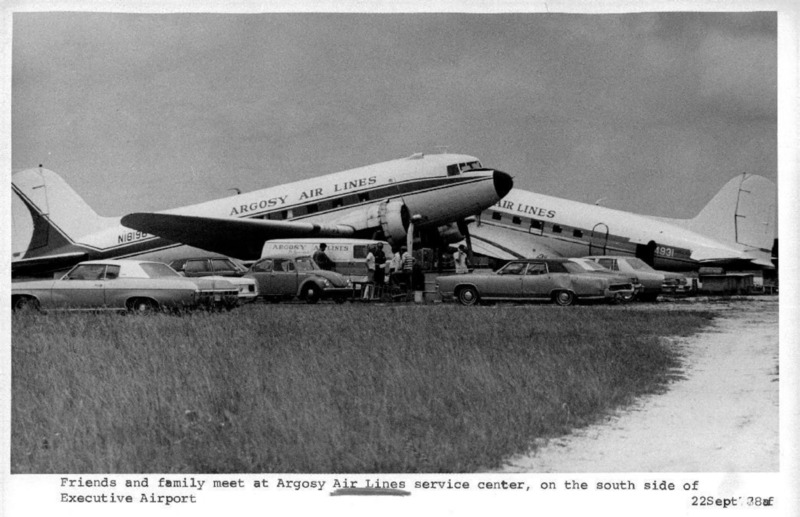 Above: A press photo from September 22, 1978, the day after the disappearance of DC-3, N407D showing family and friends gathered at Ft. Lauderdale Executive airport. 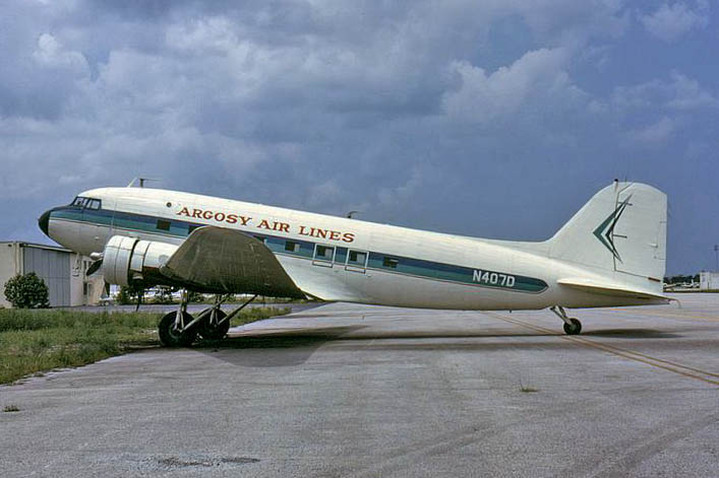 Below: Argosy's ill-fated Douglas DC-3 N407D.